Have you ever had a pain and tingling sensation that travels all the way down your arm? You could be suffering from a pinched nerve in your neck or shoulder. But don’t worry! This is a temporary condition, and you can find pain relief soon. How do you get a pinched nerve in your shoulder? Sometimes pressure builds up and contricts tissues surrounding nerves in the shoulder blade. This causes the nerves in the area to become trapped or compressed. Once compressed, the communication between the nerve and the brain are cut off. And that’s why we call it a pinched nerve. You can have pinched nerves in many locations in the body. Do you lean toward your computer, resting your weight on your elbows? Do you lean on your elbows while driving or watching television? These repetitive positions can lead to a pinched nerve in your elbow. This is a different injury than tennis elbow. In tennis elbow, the pain is due to inflamed tendons rather than pinched nerves. If you sit with your legs crossed, you could end up with a pinched nerve in your knee. Crossing your legs at the knee can injure the peroneal nerve. Pain and tingling from this injury may travel into the arm. 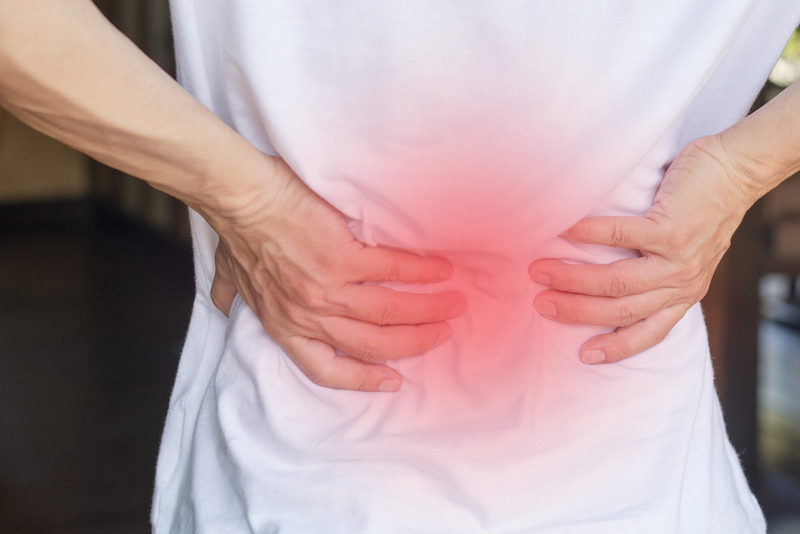 Pain from this injury is caused by the compression of the sciatic nerve. The sciatic nerve travels from your lower back and into your leg. Resulting from an injury of the median nerve in the wrist. A pinched nerve in the shoulder blade is not a life-threatening injury, but it can be debilitating and interfere with your quality of life. While anyone can suffer a pinched nerve in the shoulder blade, there are certain factors that make the injury more likely. Poor posture can be a habitual slouching, or it may have a biological component such as large breasts. Women who are large breasted have an increased risk of pinched nerves in the shoulder blade. They should always wear a well fitted bra to support the breasts and improve posture. This is another cause of pinched nerves in the shoulder blade. Pregnancy can lead to swelling, which will place pressure on nerves and the pathways of the nerves, leading to pinched nerves. Carpal tunnel syndrome is another risk that affects women more than men. Repetitive motions of the hand are the most common cause of Carpal Tunnel Syndrome. We see this injury most commonly with movements that involve bending your wrist or making the same wrist movements again and again. A pinched nerve may occur in an area near one that has swelling or inflammation from an injury. Repetitive stress can also lead to this inflammation, as can poor posture or even some illnesses. Overexertion of the arm can lead to compressed nerves and pain that radiates to the shoulder blade. In other words, a pinched nerve in the shoulder blade may have had nothing to do with a direct injury to the shoulder blade itself. A pinched nerve in the shoulder blade may also be the result of a direct injury or physical process. This is similar to the way bone spurs can compress the nerves around the spinal discs. The muscles and nerves surrounding the shoulder may become compressed when they are exposed to excess weight. This can cause a pinched nerve in the shoulder blade. Some medical conditions can have adverse effects on the body, resulting in a pinched nerve in the shoulder blade. Osteoarthritis and rheumatoid arthritis can cause damage to bony structures and compress nerves. Tumors, diabetes, hyperthyroidism, cysts, and lupus are a few other diseases that can lead to compression and pinched nerves. 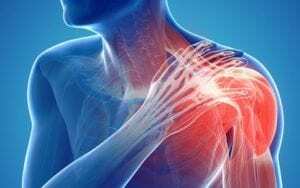 While the reasons for pinched nerves in the shoulder blade may differ, the symptoms are largely the same no matter the cause. People suffering from a pinched nerve describe the pain as aching, sharp, stinging, or burning in nature. The pain may also radiate, or travel, to other neighboring parts of your body. This can include pain in your hands, shoulders, neck and arms depending on the exact location of the compressed nerve. Sometimes, though, a pain in your neck and headaches may indicate a pinched nerve in the neck itself. Repositioning your arm, neck and head may provide relief from the pain, but if it doesn’t, the compression may be severe. Compressed nerves can lead to painful muscle spasms. If the compression is not addressed and relieved, chronic pain and permanent damage can result. Another common complaint from those suffering a pinched nerve in the shoulder blade is muscle weakness. Depending on where the nerve is compressed, different muscle groups will be affected. 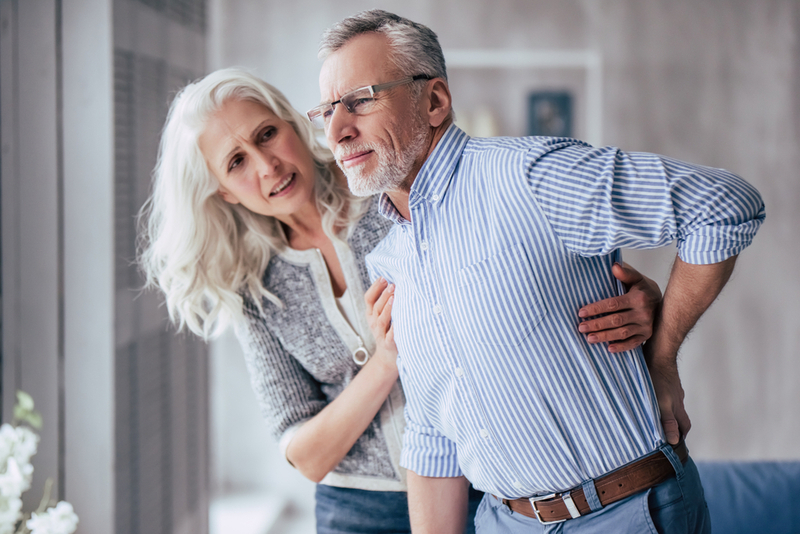 The weakness and pain can be severe enough to be debilitating, preventing you from lifting your arm or reaching for objects. As the nerve compression continues, the weakness may spread down the arm. This can create problems holding objects in your hand and twisting or turning the arm. If the compression is minor, these will be minor annoying inconveniences. Severe compressions, however, will adversely affect your daily activities. Some of them may require medical attention. A doctor will evaluate the individual muscles in your arms and shoulders. That allows them to determine if the issue is another condition unrelated to a pinched nerve. These sensations are common for those suffering a pinched nerve in the shoulder blade. The feeling is reported as numbness, pins and needles similar to the feelings you get when your arm or shoulder is asleep. The numbness and tingling may come and go randomly or be related to the position of your body. The location of these symptoms will depend on where the nerve is compressed. If left untreated, the symptoms will worsen and become chronic. Can A Chiropractor Treat a Pinched Nerve in the Shoulder Blade? A chiropractor is uniquely qualified to treat your pinched nerve. He or she is trained to perform gentle spinal alignment to realign vertebrae and relax tense muscles. This reduces the pressure on your compressed nerves. Chiropractic care does not involve addictive medications or other invasive and high-risk procedures. That makes a chiropractor visit an obvious first choice of treatment. Chiropractic treatments are outpatient procedures. These treatments work to relieve pain, swelling and disability from the pinched nerve. One visit with give your chiropractor a good sense of whether or not a treatment plan will work for you. It is generally a much lower cost, highly effective path to take for treating your pinched nerves. On your first visit, your chiropractor will examine your area of pain. Chiropractors perform tests to identify the root cause of your pain. Then they propose a treatment plan that will work for you. The doctor has many treatment therapies available for pinched nerves. This is a technique that uses a special table that will reduce pressure and realign your spinal nerves and vertebrae. Your chiropractor will use gentle manipulation techniques to ease pressure and adjust the spine. Your chiropractor has many other treatments available as well. Your complete treatment plan may include ice pack applications, ultrasound treatments, and electrotherapy. These procedures are designed to ease pain, reduce inflammation, and reduce muscle spasms. If you are experiencing the pain and disability of a pinched nerve in the shoulder blade or anywhere else, don’t let it go untreated. You may be risking permanent damage to your nerves. Call your chiropractor for an evaluation and a treatment plan that will get you back on track fast.